Fun Fitness Games For Kids - I Am Proud Of My Kids! Happy children having fun while jumping on bosu balls on sports training in a health club. Male coaches are with them. 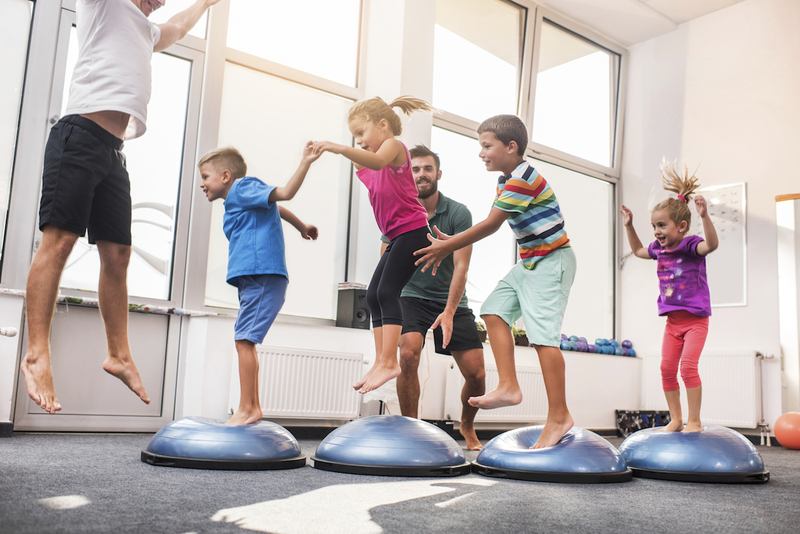 Fitness for kids must always be fun and exciting and this article clearly shows how that should happen accordingly. Kids have always been into games so incorporating fitness into games has always been a great idea. This article shows how even crossing the stream can be made a fun fitness activity for the kids. Remember, the kids’ attention span are limited so as much as possible activities must greatly interest them and there should be a lot of variations when needed. Be the first to comment on "Fun Fitness Games For Kids"